Huawei introduced another Dual-Sim Smart Phone Ascend G700. 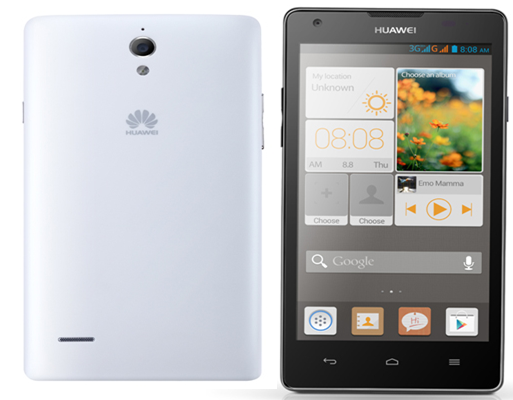 Huawei new smart Phone takes most of its design inspiration from Ascend Mate. Huawei Ascend G700 Features are Ultra large 5" HD IPS screen, Super fast Quad-core 1.2GHz processor, 42Mbps downloading speed, 8MP BSI camera, Dual SIM dual standby, Emotion UI. Display Size: 5 inch, Type: IPS TFT touch-sensitive screen, Colour: 16 M colours, Resolution: 1280 x 720 pixels.